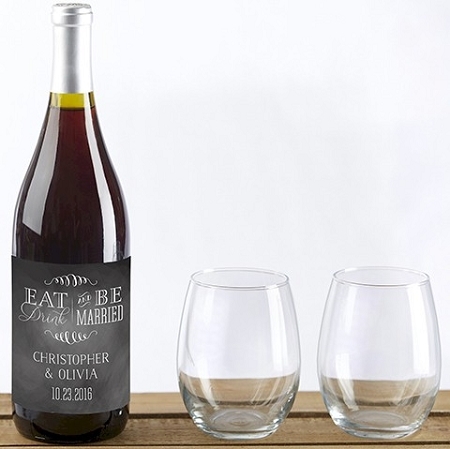 A personalized wine wedding favor is simple with our Eat, Drink & Be Married Personalized Wine Bottle Labels! 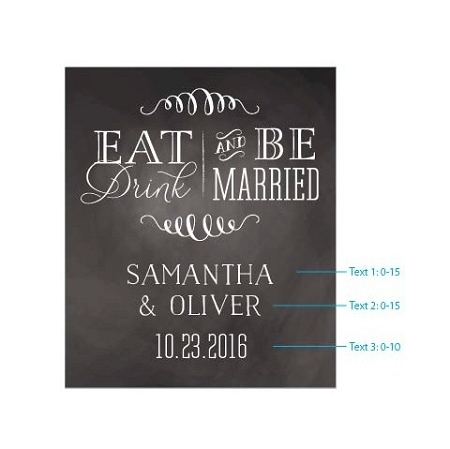 All you need to do is take off the original bottle labels, replace them with your personalized labels, and you've got yourself a wedding favor perfect for commemorating your celebration. 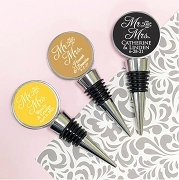 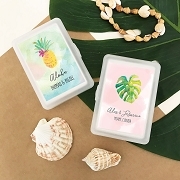 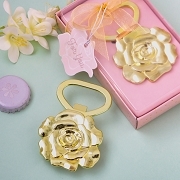 Not just for weddings, these also work as adorable favors for bridal showers and bachelorette parties as well!